I have been working (and visiting) the Great Smoky Mountains a lot the past couple of years. During my winding drives, I have come along some real hidden gems in respect to fishing that looks to be begging for me to pull over and start casting. Being more of a lake/creek fisherman, I have only been fly fishing once in my life as a kid. The Smoky Mountains in Tennessee and North Carolina have got me thinking about giving it a real try. The beautiful view the smoky mountains offers will take your breath away. The region offers a lot of wildlife along with many streams/rivers that flow heavily giving trout fishing anglers a perfect and beautiful experience. Depending on where you go in the Smoky Mountains, you will find many places to stay. For a fishing trip, I would suggest looking into getting a cabin. Located in Cherokee, NC, the Oconaluftee is a staple for local trout fishing. 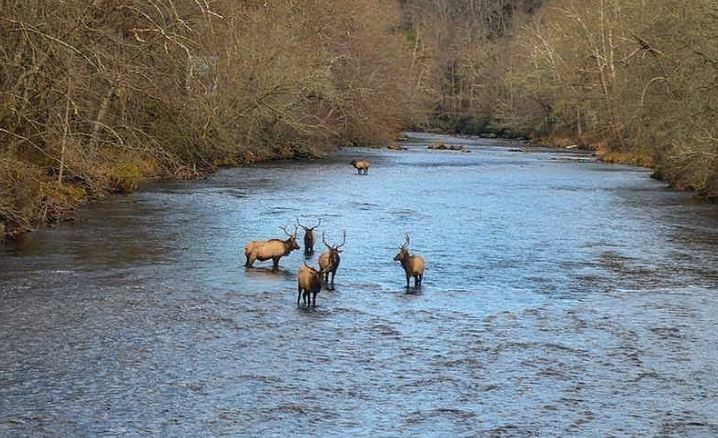 With Cherokee’s large Elk population, you never know who you will see out in the water. This stretch of river is a beautiful spot to fish or just have lunch take in the beauty. One note to keep in mind. You will need a NC fishing license with a trout stamp. You also my need a Cherokee fishing license if you are located withing the tribal land. You can find more information on this and other regulations here. This is the river I have been thinking about fishing. The downside for myself is, it will require new gear. Since I have do not fly fish, new fly rod, tackle and bibs are needed. I have been looking at some fishing wader reviewed and some rod/reels in my price range as of late. Hope to have everything by mid season! 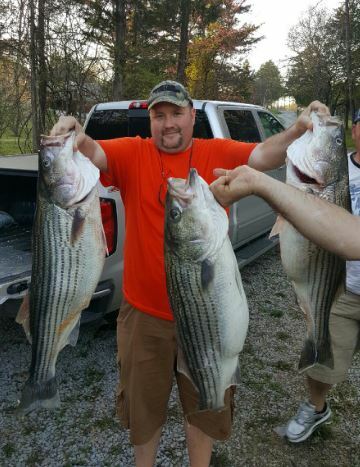 If you are more into Large Mouth or Stripped Bass, Cherokee Lake may be your spot. This whole region is known for massive lake and stripe bass. I have been past this lake many of times and planning on putting a trip together in the next year or two with my brother in-law. So, Lake Cumberland and Norris Lake are not quite in the Smoky Mountains but close enough where they are worthy of a mention. We have fished both lakes many of times. 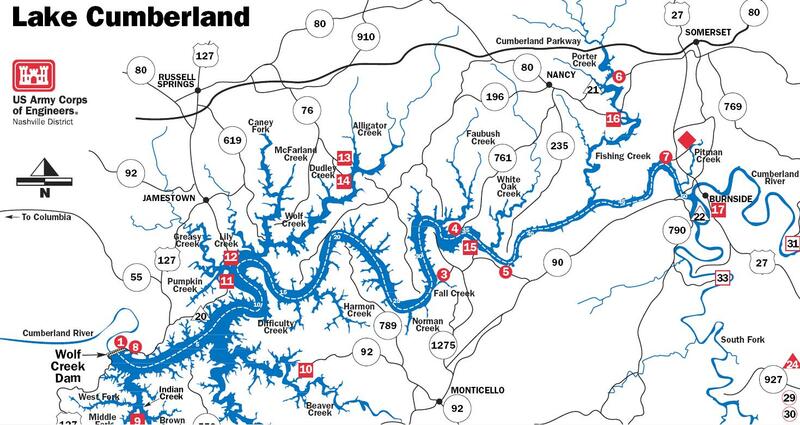 Located in near the Kentuck/Tennessee border, Lake Cumberland is most widely known for Striped Bass fishing. We have caught some monsters. But, you don’t need to stick with Stripe Bass. Once you limit out,hit the Small Mouth. You can expect to pull some nice fish out of this lake. Actually, the image used on our twitter page is a Stripe Bass caught on a trip their. 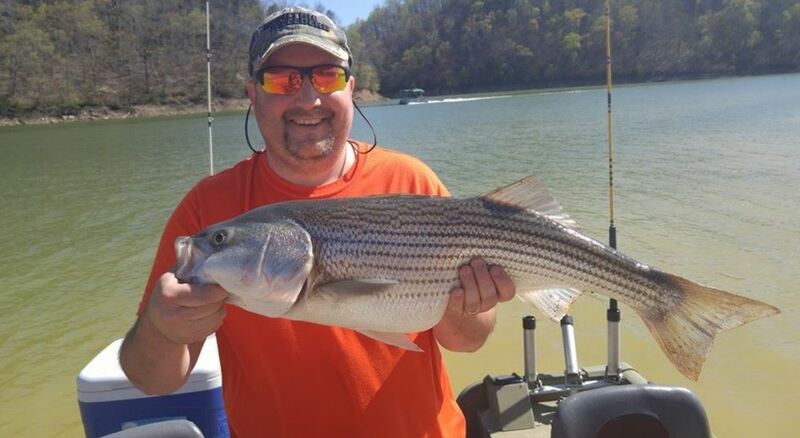 Here is my quick article on a Lake Cumberland fishing trip I posted back in 2013. Norris Lake is newer to our adventures. We have only been once but have decided to go back as soon as we can. 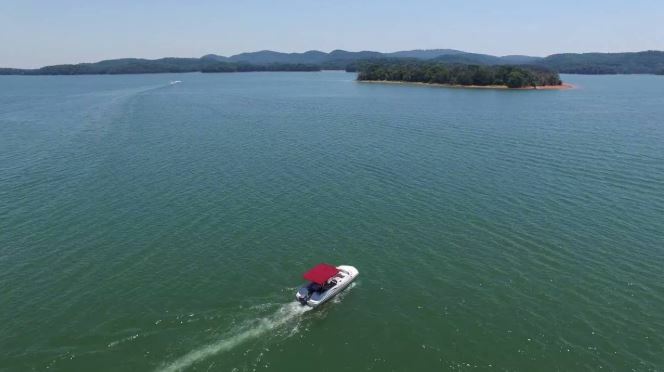 Located in the same region as Cumberland, Norris Lake is located throughout many counties in Tennessee. It has a lot of creeks and rivers intertwined flowing into it. Photoed above is some nice Strip Bass caught on our trip to Norris Lake. We had a great day out on the water and limited out. Above is a beast I pulled in a mouth of a river and Norris Lake. We were located on the river and you channel going into the lake is behind the boat you see in the photo. There are so many fishing opportunities in and around the Great Smoky Mountains, it would be impossible to list them all. The above are just a few of the opportunities I have drove past you fished myself. If you have a trip coming up or want to plan one, I suggest googling “smoky mounting fishing”. You will find endless possibilities. If you have never been to the Smoky Mountains, I suggest you check the area out. The mountains makes for a good family trip, tons of wildlife and endless views. Check out my review on Gatlinburg and Pigeon Forge, great place for a family trip with plenty of river access for fishing. So, do you fish in the Smoky Mountains? If so, share with us places to check out!